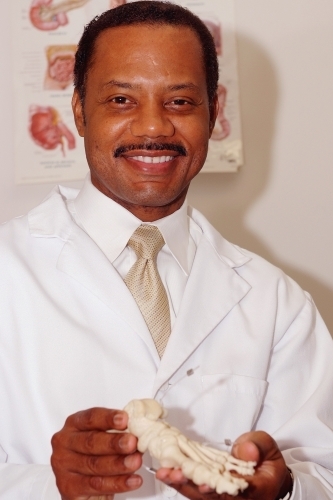 Dr. Hall is a Diplomate, American Board of Podiatric Surgery, Certified and Foot and Ankle Surgery. He has over seven years of proven experience in treating both pediatric and adult ankle sprains and pain, general foot aching and soreness, foot and ankle fractures, flat foot, heel pain, fungal toenail problems, ingrown toenails, calluses and dry skin, Bunions, Neuroma, Corns and Calluses and foot skin problems, Ingrown and Fungal Toe nail problems, Warts, tendinitis wound care, diabetic foot care, elderly foot care and posture imbalances caused by poor foot position. Dr. Hall will see patients in his office, and he enjoys doing house calls. Dr. Hall has successfully treated hundreds of pediatric foot problems. He has over seven years of unmarked experience in managing child foot problems and has prevented many of them from having to undergo surgery. He has rewarded knowledge in biomechanics and making orthotics and orthotic devices for posture and gait balancing. He is an expert in diagnosing posture imbalance in the lower leg and foot that can affect your knees and lower back. He has recently procured a digital orthotic scanner and has a laser unit available for treating fungal nails.